Laurie Kuntz can describe her passion in three short words: grow, give, and green. The Caldwell native refined her life’s mission here in Idaho, where she earned her B.S. in Biology at the College of Idaho. 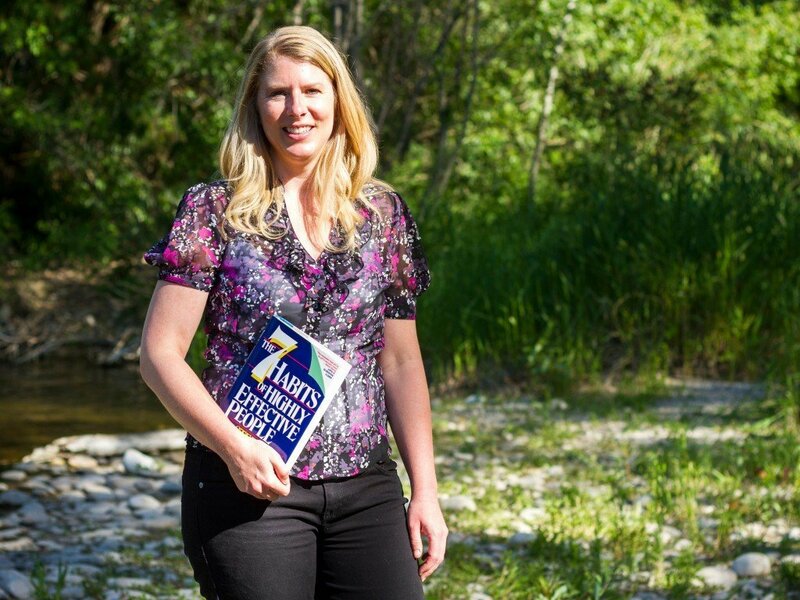 Her love of nature and the outdoors, coupled with her ongoing interest in self-help books and courses, led her to start her latest venture: Life Course. Designed for everyone from aspirational teens to busy executives, her group approach to life coaching offers a unique opportunity for people to define their own passions and begin to live authentic lives. Many life coaches work with clients on an individual basis, but Kuntz has found more success in building groups of people who want to learn together. In groups, they can practice the skills and gain valuable hands-on experience as they implement the solutions she teaches. Kuntz is building her clientele slowly and mindfully. She enjoys her “day jobs” as a technical writer at Hewlett Packard, but she wants to share her passion, knowledge, and experience with others. She also offers an online webinar option, catering to people who want to better themselves while wearing their pajamas. Kuntz plans to include several topics in her Life Course programs, including how to start a business with little or no money, communication and relationship skills, saving money by going green, identifying household toxins and making inexpensive homemade alternatives, and even college preparedness. “All it takes is a little coaching. You give people some useful skills and get them really excited about their lives,” said Kuntz. That’s living the dream. The Gift of Fear by Gavin De Becker, Little Brown, 1996. “This book teaches you how to learn not to fear the wrong things. We are really conditioned to be afraid of things that are very unlikely to happen, while we avoid problems that truly are dangerous.